automated online instructional system that enables better storytelling, branded content production and activation. Since over 3 years we are working with brands, professional athletes, creative talent, videographers / photographers and lifestyle influencers and it is time to share our insights and learnings. We will soon release a set of features and APPs to improve the storytelling and content creation process day by day in real time. Some examples of our automated tips & tricks tool. 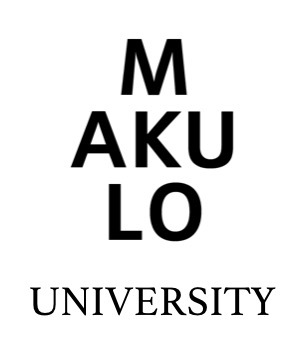 Sending out tips on actual behavior and activity using the MAKULO STORYTELLING analytics tool. What happens though is that so much rockin’ content lands on social media every second that a person can’t possibly catch it all. We reach 5% of our followers with a tweet and 4% of Facebook fans with a new update. How do you get your posts seen by your Facebook fans? One consideration of the Facebook News Feed algorithm is timely, trending content. Here’re the three categories Aaron thinks of when sharing timely content. 1. Holidays – Christmas, New Year’s, Thanksgiving, etc. 2. Special events – The Oscars, the Super Bowl, Cinco de Mayo, etc. #3 (Pretty much) always include an image with your update. … like looking out the window of a fast moving train. If you insert a “billboard” (photo or graphic image) post, people will notice it. We’ve seen up to double the engagement with this strategy. Some examples of our automated best case and inspiration tool. Our software collects the best cases from outside and inside our network to inspire our clients and professional athletes to tell better brand stories. The recommendations are based on actual behavior, activities, demographics and real time learnings through our brand campaigns. Switching gears here a bit, but: hoverboards. Seriously, luxury car brand Lexus built a hoverboard and made a video about it. Why? Well, that isn’t exactly clear at this point, but the video to show it off has taken YouTube and social media by storm. If you click on the link to find out more (I was compelled), you’re sent to a slick microsite that explains the board a bit more and has some links to other interesting engineering projects Lexus is working on. Overall, the video does a fantastic job of hyping what Lexus wants to be known for: beautiful design and innovative engineering. For climbing nerds, this video is catnip. Some of the biggest names in the sport talking about arguably the most famous cliff face in the world? Yeah, that’s pretty cool. The shots from Google Maps’ cameras are awe-inspiring, giving a proper sense of scale and danger to these absurd climbs. That jump at 3:50 is particularly heart-pounding—the cojones on that guy. The video is an extremely well-produced example of something that probably never would’ve been done without that sweet, sweet brand money. For those too afraid to do anything like the people in the video, Google Maps deserves props for capturing the experience. Despite the hokey music, this is basically the Boyhood of car ads. The three-and-a-half minute video made for Father’s Day follows a girl growing up under the watchful eye of her everyman dad. The catch is that the ad switches between the father’s perspective to the daughter’s halfway through the video, giving the video beautiful symmetry and some funny moments, as well as some emotional poignancy. When it comes to Father’s Day content, Toyota is now the champion to beat. If an agency starts filming an ad over an 11-year period with the same actors, we’ll know things just got real.